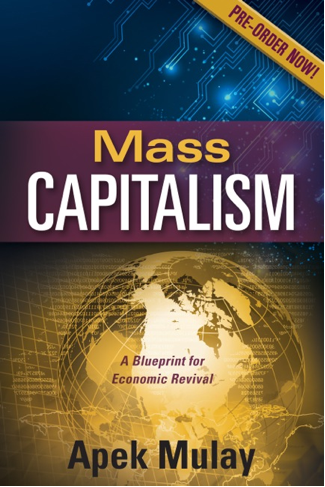 The upcoming Mass Capitalism: A Blueprint for Economic Revival by Apekshit Mulay offers to solve the economic problems which are threatening the survival of the US and world economy. The solutions presented in the book would help establish a free market economy. They would lead to a balanced economy, high investments, high growth, and increased motivation for employees to work hard and result in a steady growth in corporate profits.